I didn’t take long to realize that Sagan was a big deal. 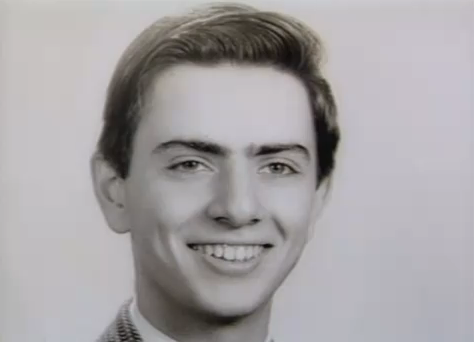 Born in 1934, Carl Sagan grew up in a Jewish working-class neighborhood in New York City and got his earliest education in public schools. His father emigrated from Ukraine as a boy, while his mother grew up on the edge of poverty, a housewife from New York. A further crystallization occurred when he attended the 1949 World Fair, realizing that science could improve the world. 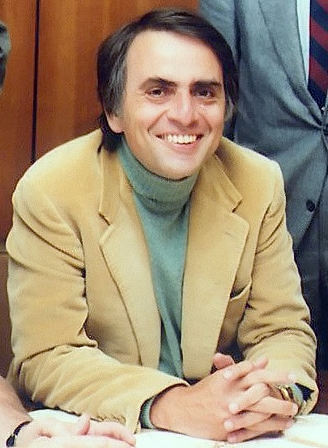 Sagan studied at The University of Chicago, through a scholarship, where he received the liberal “Great Books” education, and eventually got his doctorate in astronomy there in 1960. After two years as a postdoctoral fellow in Biology at Berkeley and Stanford, he became an assistant professor in the Harvard department of astronomy. When the school denied him promotion, he moved to Cornell in 1968, where he worked until his death in 1996 from pneumonia, a few months after finding that he was in remission of myelodysplastic syndrome. He married three times, had five children, and left behind a staggering collection of work, both popular and scholarly. 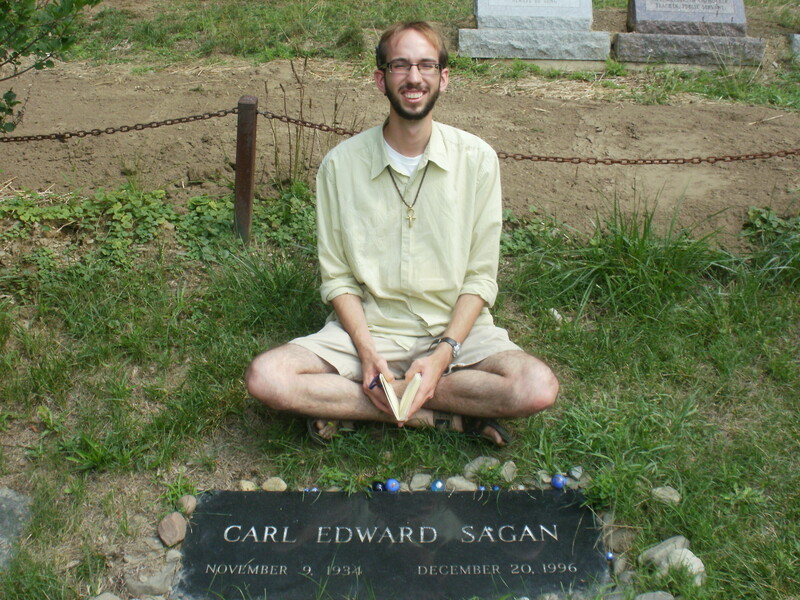 Most people know Sagan from his role in the 1980s series Cosmos, but he began as a respected researcher, professor, and lecturer–activities that continued throughout his life. Without this background, his other role would have been much harder. His early research challenged the prevailing myth at the time that Venus had an earth-like atmosphere. His team proposed the now-established view that it’s hellishly hot and dense, replete with sulfuric rainclouds. He also studied the Martian climate and was an early proponent of extraterrestrial research, becoming one of the founders of SETI. His later research–the famous TTAPS papers–detailed the models of nuclear winter, which helped spur nuclear disarmament during the Cold War. His other role as a popularizer of science began with articles and lectures, including one for National Geographic in 1967. He also hosted a series symposiums based on debunking pseudoscience–one of his lifelong quests–that began in 1969. These increased his popularity and established his reputation, but his breakthrough came when his well-reviewed book The Cosmic Connection landed him a spot on the Tonight Show with Johnny Carson in 1973. His good looks, clear descriptions, and scientific acumen captured the audience and thrilled Carson, who invited him back 26 more times in the following 13 years. This fame culminated and peaked in the series Cosmos, which started production in 1977, airing September 1980. Around the same time, he also began his lifelong relationship and professional partnership with Ann Druyan. The two commitments overwhelmed Sagan, forcing him to cancel classes and neglect his research for a span. As the series aired, he became an instant celebrity. People asked for autographs at restaurants, his picture appeared on popular magazines, death threats and fan letters flooded the mail, and his price to lecture increased to five figures. Time described him as the “Showman of Science” and the “prince of popularizers,” the sorts of labels that stuck with him for the rest of his life, even after fame receded in the early 90s. In this capacity, I first saw Sagan, like most of his fans: he was an excited teacher who couldn’t help explaining what he loves most. He was clear-headed, welcoming, and informed, and I couldn’t help but listen. The timing was perfect. In November, a few days before I first watched Sagan, I started taking antidepressants. I was in a bad state: train wrecked by the symptoms and near-suicidal. Things only got worse as my body adjusted to the pills, with patchy highs succumbing to crushing lows. I thought I had no point to live, and the urge to escape the pain increased. But, influenced by Sagan, I started looking at the stars and thinking of space. It brought me back to my childhood, when my father and I stargazed. In silence, we plumbed the spattered tapestry with a thin telescope, prodded the dark with our pupils, and scoped out craters on the moon. Sagan reanimated that love for space and that curiosity for the world. The world expanded, becoming a wealth of opportunities and potential learning. I got excited about science again and started quoting Sagan’s quips about skepticism, open-mindedness, and creativity. I became a Saganite. Later, I read more about Sagan, including the negatives. Like how his wives and children complained that he didn’t spend enough time with them, or how he often insisted on being the center of attention, earning the scorn of many colleagues. One marriage crisis almost killed Cosmos during production. 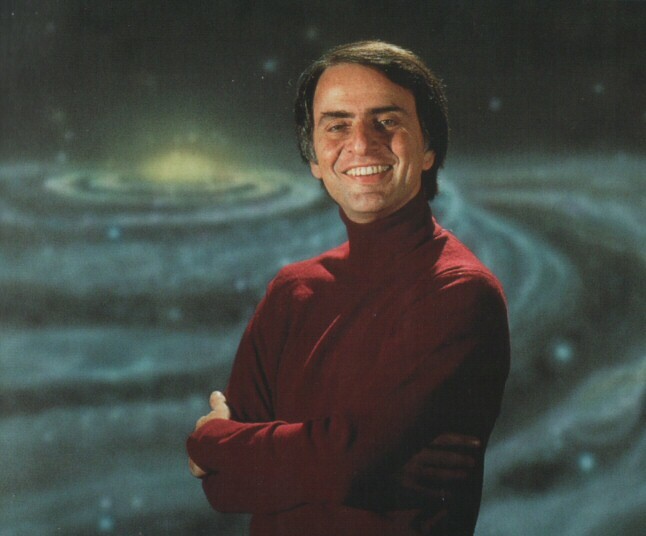 But, like any person, Sagan wasn’t merely the turtle-neck wearing teacher on television with those bright eager eyes and rolling cadences. He had problems, just as we all do. We don’t have to ignore or condone them, but we must accept that our black-and-white distinctions of good and bad rarely do any real human justice. They’re simply too strident. People are too imperfect–a “crooked timber” as Immanual Kant put it. When I finally did finish the Cosmos series, long after I beat back my depression, the day was late, and the house was asleep. The closing credits rolled, as the nostalgic piano and synth-strings theme occupied the silence. I started crying. Sagan, for all his flaws opened my eyes in a time when I needed them opened. He rekindled my love of life and provided a candle in the demon-haunted world of depression. Doing so, he probably saved my life. And I would miss him. But I knew that the imprint he left would linger, and this made me happy. Thank you, Mikels. I’m glad you took the time to read. Very powerful story, and it is uplifting to hear ideas and dreams can change a life (and as you say, or Kant says we are all crooked timber). This story makes me want to watch the whole Cosmo series again…so much to learn, understand and then just sit back and contemplate. Thanks, Dalo, and it still is a beautiful series, a true celebration of learning and curiosity. Thanks for stopping by. I was glued to the tube in 1980 with the series. Twenty-five years later re-watching the episodes helped me cope with the gauntlet of challenges I encountered while dealing with a terminal parent. Sagan and Jacob Bronowski are my academic heroes; together they make natural philosophy and Deism more understandable. Yes, there is something healing and inspiring with their work, in addition to the raw clarity the provide for difficult concepts. I hope that Sagan (and others) offer further inspiration in the future, hopefully in less difficult circumstances. Thank you for reading and commenting.